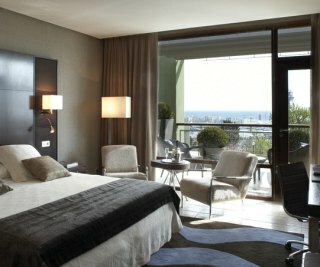 We have a great choice of hotels in Barcelona city centre. To ensure good quality properties and well located hotels, we have focussed only on hotels in Barcelona city centre with good reviews from past guests. The best place for restaurants, shopping and visitor attractions are the hotels in Barcelona near Las Ramblas and the Plaza Catalunya. RECOMMENDED: The AC Miramar hotel is a new modern hotel medium sized hotel in a very quite peaceful location yet only 10mins walk to the busy la ramblas The hotel is extremely luxurious and modern the architecture and furniture top notch and rooms spacious.